The Principle of Goodness was discovered by Ron House and is being co-developed by both Ron House and Gitie House. 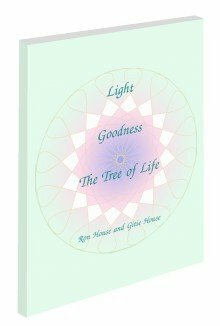 The short book, Light, Goodness, The Tree of Life, a joint work, is the first and seminal work explaining the kernel of this Principle. As with all original and worthwhile ideas, the discovery of the Principle of Goodness was necessarily influenced by the religious, philosophical, and cultural context of the author's lives and their joint spiritual journey, which is briefly described in About the Authors. In many places in the book, indications of these influences may be detected. However, this website is not concerned with any of those issues, and is devoted exclusively to the scholarly and academic study of the Principle itself.